Art and fashion definitely go hand in hand. I think we can all agree that’s pretty much what we do as visual merchandisers! 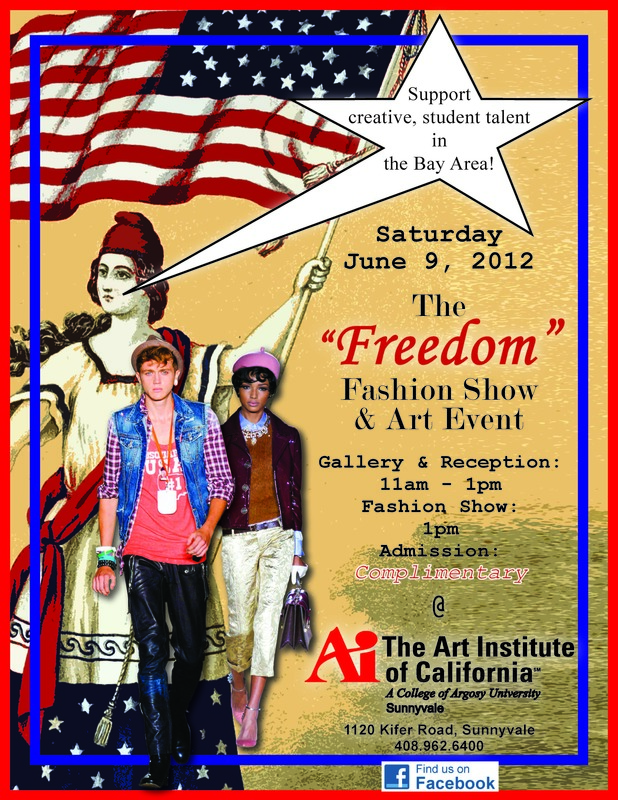 Below is some information sent to me of a local fashion and art showing of one of our local design schools. If you are in the Bay Area I hope you will support these students and the local talent! The Bachelor of Science degree students of the Fashion Marketing & Management program of The Art Institute of California, A College of Argosy University, Sunnyvale are presenting “Glory Days” on Saturday, June 9, 2012. This is the first fashion-related show for the Institute since the Sunnyvale location began accepting creative talent in 2008. “Glory Days” is a production of The “Freedom” Fashion Show & Art Event, which debuts what will become an annual event of fashion, art, and design; revolving around the ideas and images of “freedom”. The event is taking place at 1120 Kifer Road, Sunnyvale, the location of The Art Institute of California, A College of Argosy University, with an agenda that will show case the artistic works of the various programs offered through the creative arts institution. Doors will open at 11am, beginning with a reception and gallery event of open and juried submissions of art and design work by current and alumni students. In addition, tours of the facilities and information about the institutions programs will be offered. This will be followed by a student produced fashion show at 1pm, which will feature a variety of looks focused on the use of America’s most-iconic, fashion staple – denim. Viewing of the gallery submissions will be open until 3pm. Thanks Woody Anthony for sending this in! 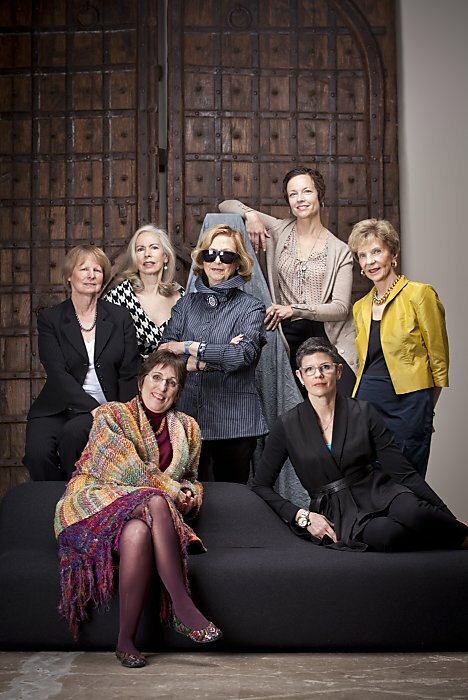 Here’s a wonderful article from the San Francisco Chronicle, interviewing all the ladies who run the fashion departments at San Francisco’s top design schools. My boss Diane Green is in the article as well! The article not only focuses on what the schools offer, but I like that Sylvia Rubin asked about the influence social media and fashion reality TV is having on our industry. For those of us on a school schedule, summertime is usually when things get a little slow, as school is out. It’s a great time to sit back and plot your next move, which usually includes getting a job or more school. A question I get asked A LOT is where can one go to get training in Visual Merchandising. [Shameless plug →]: Well if you are in San Francisco, you most definitely should take my class at City College – FASH 49, it’s only offered in the spring :). 1. Of course I have to recommend Academy of Art University, since they are located right here in San Francisco, and many of the students in our fashion department transfer to this school. It’s a wonderful institution, I’ve actually hired a student from their graphic design program to design my company logo! 2. Fashion Institute of Design and Merchandising or FIDM as we call it. A friend of mine taught in their Interior Design Department here in San Francisco, he loved it! They have locations in San Francisco, Los Angeles, Orange County, and San Diego. 3. This list wouldn’t be complete if I didn’t mention Parsons The New School for Design! It’s located in New York with a formidable list of graduates. 4. Fashion Institute of Technology (FIT) is another fashion powerhouse, with famous graduates. It’s part of New York’s state university school system. 5. I was surprised to discover Oregon State University had a thriving fashion program and degree in Merchandising Management. Keep in mind their visual merchandising class is tied into a larger program, as with many of the other colleges. 6. Central St. Martins in London – enough said! 7. Don’t be fooled this school’s location – Ohio – Kent State University is a great school! 8. Savannah College of Art and Design looks lovely. Their visual merchandising class is FASM 425 and its titled Visual Merchandising Communication for Fashion – fancy! This school is located in Savannah, Georgia. 9. Got nine months to do nothing but immerse yourself in visuals in Florence,Italy – then definitely check out Polimoda! 10. LIM College is one of the very few fashion schools that focuses solely on the business of fashion and not design. This school offers a degree in visual merchandising: Bachelor of Business Administration in Visual Merchandising. This list is in no way exhaustive, I’m sure there are many other schools out there I’ve missed, but what I tried to focus on are the schools that offer visual merchandising programs. 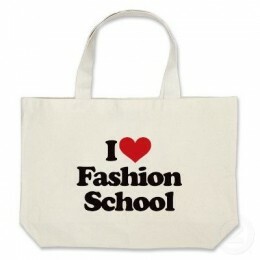 There are a myriad of fashion schools but keep in mind most of them focus on fashion design, textile design, jewelry, millinery, etc….not really merchandising. I wanted to highlight the schools that offer programs in our field.